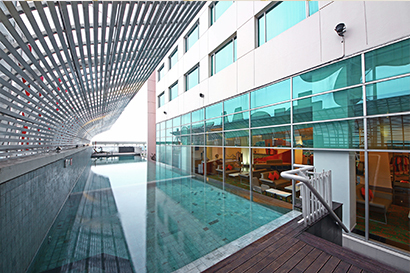 Our pool located on 3rd A floor is best enjoyed with families and friends but certainly not less enjoyable by yourself. It is a fun alternative to swim away all your worries from a busy day. Sometimes you just need to escape, and our spa service is the perfect to immerse yourself in a refreshing and rejuvenating experience, located on the third A floor. Enjoy a variety of attractive spa packages and professional treatments from our spa therapist. 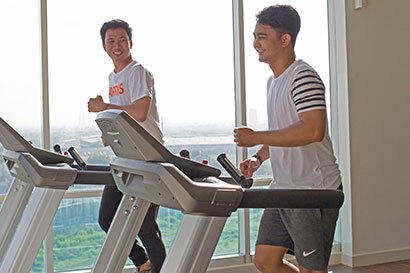 Whether you are seeking to burn off some calories from last night’s dinner or to just stay in shape, our gym offers you a variety of high quality exercise equipment to cater for cardio and strength training needs. HELIOS FITNES at Festival Citylink Mall on 3rd A level offers what you’d expect, a complete workout facility. Set your children free to have some fun while take in your own time to rest and relax. 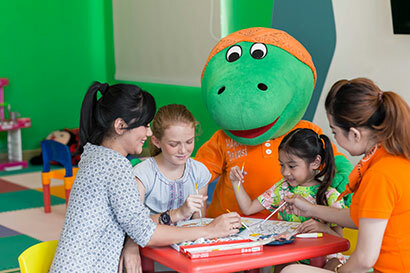 Dino’s Kids Club, located on the third A floor and open from 07.00 AM until 08.00 PM, is where your kids can play games and engaging activities.